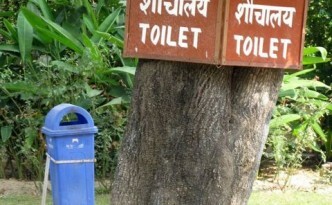 At Anand Bhavan, you can find this tree directing you towards the toilets. 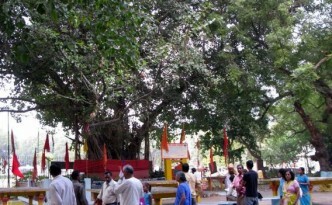 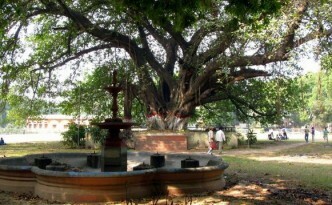 This giant banyan spreads wide and provides shade to students at Allahabad University. 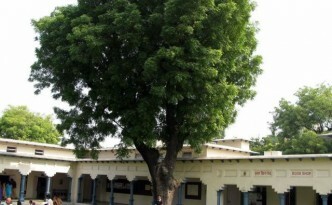 A strong anad healthy neem tree at Anand Bhavan, Nehru’s home, provides another reminder of his everlasting impact on India and the world. 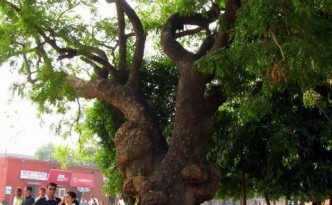 In the corner of Allahabad’s 450 yr old Fort, at the confluence of the Ganga and Yamuna, this sacred immortal tree is just above an buried temple wherein you can experience the underworld.